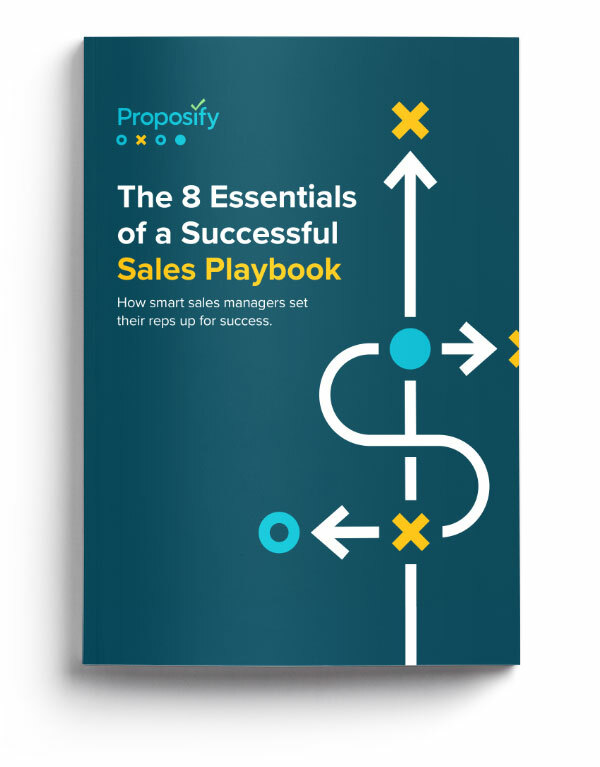 All-star sales managers know the quickest way to a powerhouse sales team is through a comprehensive sales playbook. The facts don’t lie: Teams with a clear-cut sales system are 33% more likely to rank among the most elite high performers. Our sales playbook template will help you join the club. Download it today and transform your team into deal-closing superstars. How many proposals does your team send each month? How many people in your company are involved in the proposal process? Subscribe to our blog to get even more awesome content like this. Want scalable, repeatable, and predictable sales? When your team knows the plan and has the tools to execute it, they’ll be more confident chasing big-time deals and better equipped when qualified leads get skittish. A well-written sales playbook gives them just that, and our guide makes writing your own a cinch. We walk you through the 8 carefully considered steps top sales managers use to keep their teams constantly closing. Build your sales dream team. Give them an unbeatable edge. Download the guide now.